I get asked lots of questions about food and drinks especially by those that are on new a diet and making lifestyle changes. Alcohol seems to come up again and again, which indicates the social importance of this lubricant which is to all intents and purposes a poison. Australia sits 2nd in the world (WHO 2015) for relative alcohol consumption at 12.6 litres which is not a great achievement. Alcohol can’t be stored in the body and requires significant processing and detoxification to convert to energy and be removed. Sadly, this calorie source may replace other nourishing forms of food intake and further you must take on board that any other calories consumed along with the alcohol will be stored until all the alcohol is burnt by the mitochondria. The implications of which is weight gain and metabolic syndrome and an inflammatory cascade, especially if the patient is in a fight flight. Thirdly to process alcohol/sugar requires a lot of B12, B3 and Magnesium, not with-standing iron and protein for the P450 detoxification enzymes. That tipsy sensation that people are hunting for is actually the sensation of brain cells dying and your neural networks struggling to orientate you in the world. 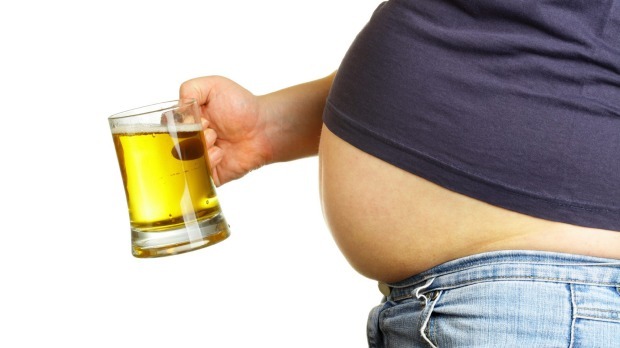 This can lead to an interesting condition called alcoholic cerebellar ataxia. This affects about 2/3’s of all alcoholics and is correlated with the amount of years of drinking rather than the amount of alcohol per day[i]. I find it interesting to note that moderate alcohol use in alcoholism is 2 standard drinks daily. Not very much is it? 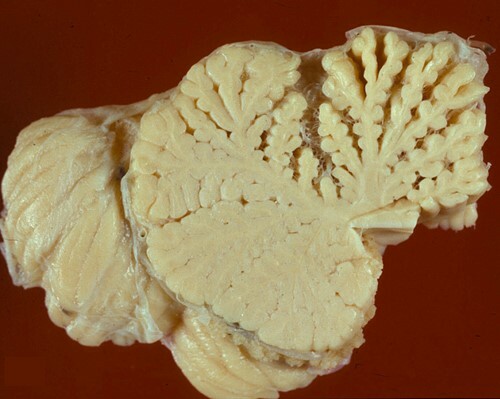 Damage to the cerebellum is characterized by loss of Purkinje and granular neurons. In most cases, the lesions are confined to the superior vermis, which is grossly atrophic. Shown above by loss density of cells in the arbor vitae, or tree of life. While I’m sure all of us will not identify with the alcoholic label, the damage to nerves occurs with all alcohol consumption. It’s a solvent and your brain cells are made of fat. 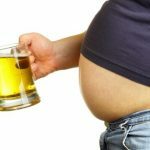 The blood brain barrier is very open to alcohol so in it goes… Patients with diseases such as diabetes and autoimmune conditions should keep in mind how inflammatory alcohol is and this may aggravate their conditions. This gets complicated by things called HLADQ receptors. Human leukocyte antigen presenting complex genes make a cell surface receptor that helps determine self-proteins from non-self. These genes can cause celiac disease and type one diabetes. So, alcohol that has gluten contamination such as a wheat beer or made from gluten grains such as scotch can set off your immune system to attack you. I find it interesting that the standard for gluten free is under 25 parts per million. Which is arbitrary at best and probably the lowest detectable level the machine is capable of. The immune system is quite capable of activating at lower amounts thus the issue with cross contamination, fragments can do it. Another thing to keep in mind is that gluten reactions are not confined to the gut. This means you may not be aware of the damage that gluten is doing you as it may not be bloating, diarrhoea or constipation which are common symptoms. Anxiety depression, eczema, psoriasis, rheumatoid arthritis, fatigue and blood sugar instability are all associated symptoms. Sadly every little bit of alcohol can hurt you, so my best advice is don’t, you might not always see the cost when it comes. [i] Alcohol Clin Exp Res. 2012 Nov;36(11):1942-51. doi: 10.1111/j.1530-0277.2012.01821.x. Epub 2012 May 9. Characterization of cerebellar ataxia in chronic alcoholics using the International Cooperative Ataxia Rating Scale (ICARS). Fitzpatrick LE1, Jackson M, Crowe SF.